I feel like I haven't blogged about any recent adventures in the past few months. I have no writing/life balance, so whatever I've posted in the past few weeks and months is what I've been up to. Well, my friend Jess wanted to know if I'd come with her to SoHo to the pop-up Central Perk on Lafayette Street. Central Perk, you say? Yup. It's a small exhibition pop-up shop celebrating the 20th anniversary of the TV show Friends. There was a line to get in. It took a while, but Jess and I amused ourselves by taking pictures. This building was in front of us for a good portion of our wait to get in. 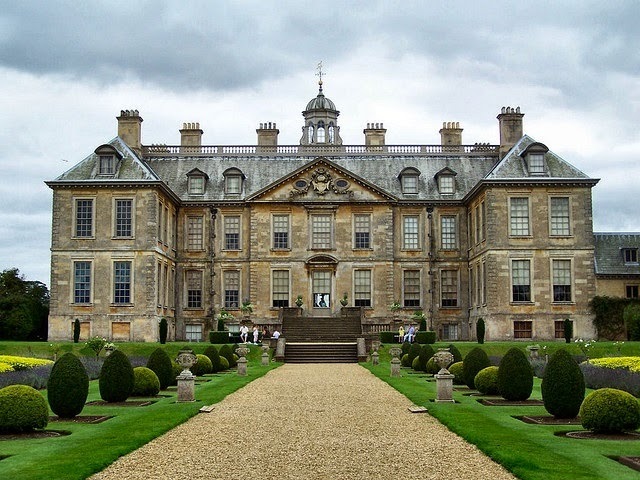 It has a dome, columns, moldings, carvings, a clock, and sculptures upon it. 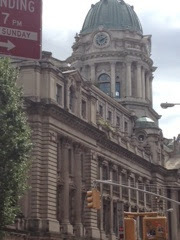 It looks very grand--and very old New York, which doesn't really exist anymore. I Googled it. It used to be the headquarters of the New York Police. It's now luxury apartments. While we waited, Jess was interviewed about Friends from somebody from MySpace. This blog started with me posting up a novella--my first finished book-length piece of writing, the first book-length thing I didn't abandon. Since then, I have done three NaNoWriMos (winning all three), wrote a supernatural contemporary (shelved), a Regency historical romance (shelved, but reshaped into something else), a Tudor historical (not quite finished/shelved), wrote a light, sweet New Adult story (last year's NaNo; finished, if not quite polished), and then four drafts of a historical fiction. 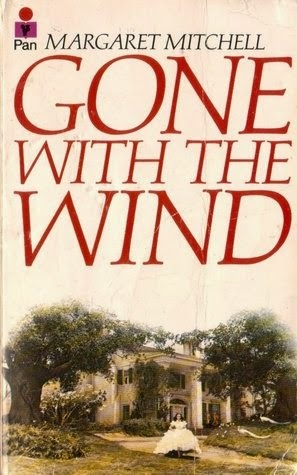 Today, I entered the query trenches with that historical fiction. I sent off five queries to various agents today and hope to find more agents to query this work to. I think I'm being fairly realistic about this; the chances of gaining representation are not high in only the first round. But then I'm reminded that, only a few years ago, the idea of actually sending a submission out to an agent was both inevitable and terrifying. 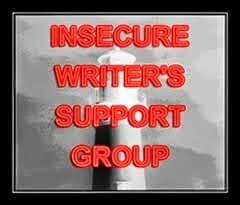 This post is for the Insecure Writer's Support Group, which posts every first Wednesday of the month! I have finished the fourth and last draft of my WIP, The Keegans of Banner's Edge. I have a query draft that was read by my writing group and is now ripe for a revision. I have several literary agents in mind and am putting my list together. But first, I am editing up my manuscript. Making sure things are as tight as I want them to be. Making sure things make sense (see Translating from the Rei for the truly wacko things I found in a past revision). Formatting so that each chapter begins on a new page.